I don’t know where the money is going to come from to cover the cost of the $50 humidifier. I don’t know why it is that Comcast decided to wait until now to charge us for the month of July and thus double our internet bill. I don’t know how I’m going to pay rent and buy enough food for my family without continuing to drain our ever-dwindling ‘emergency’ savings. Though perhaps the brink of starvation would be an emergency. Fortunately we’re not there yet. I find myself hoping that my co-worker in dance will continue to have knee problems that keep her out of the restaurant and myself in business. I don’t wish her ill, per se— it’s just that I need the money. We’re eating lots of beans and rice. And soup— frozen from more prosperous times. I’m using the internet double-time to make it double-worth-it. My knitting projects consist of scraps leftover from previous blankets and scarves. I intend to use my child’s free Halloween candy for meals… okay, not really, but I wish they had been handing out fresh fruit and vegetables or maybe a loaf of bread and ½ dozen eggs at the mall. I feel fortunate to be able to pull random things from a bag of donated Gymboree seconds, and it looks like my child will have enough shirts and socks to get through the winter. I’m not sure where we’ll get the money for a winter coat. Fortunately, it’s still warm outside and California winters are usually pretty mild. My husband and I desperately need socks (and socks from here would be nice, but that may be in a richer, though probably no less obscure time… if you have the money, ahem, these socks rock… but I digress) but again, the continued warmth means we’re still in sandals most of the time. So what am I doing besides rockin’ it like Bon Jovi and ‘Livin’ on a Prayer’? Soup works, despite the warm weather. We walk most places and I use the library’s snail-pace internet for school when I can’t spring for the $1.80 that a cup of Peet’s coffee and an hour of wi-fi will get me. I discovered H&M for kids, which is not only inexpensive and less cheap than Target, but also not made in China. Which means I can still have my standards when I’m poor. We managed a preschooler’s birthday party on about $100, including food and cupcakes for kids and adults alike. I nixed the goody-bag idea because most of that crap is from China and breaks about an hour after it gets home. Then it sits around the house for three months before it gets put into the trash and on to the landfill. So I sent them home with a balloon (minimal waste, though admittedly momentary fun) and a self-decorated pumpkin (edible if you choose, but definitely compostable). We will entertain on rainy days with videos from the library and homemade play-dough—see recipe below. The last of the home improvement and decorating ideas have been put on hold, but before we put up storage shelves in the kitchen, we have to make sure water doesn’t drip down the inside of the wall during the rain… again. So I guess it’s a blessing that we didn’t get those shelves up before last month’s momentary deluge. 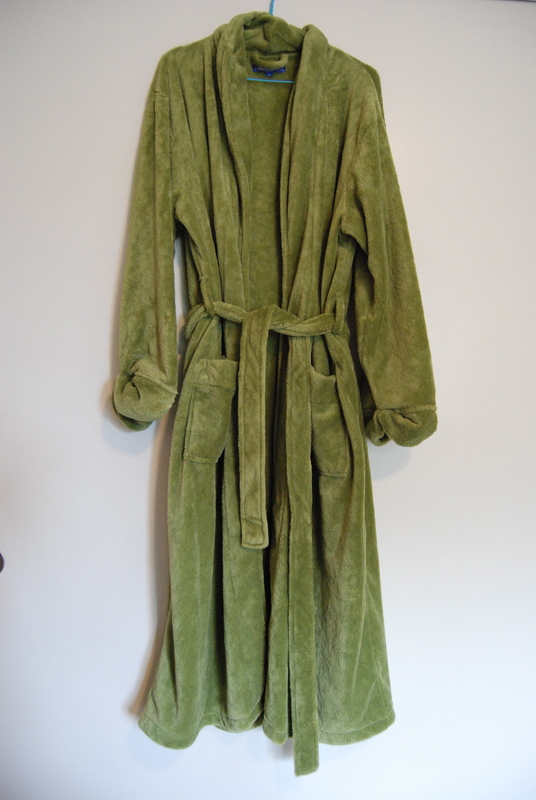 I’ve entering the big, bad, wild world of ebay (anybody want a nearly new fluffy green bathrobe? ), and managed to sell a few Anthropologie items from my days of being a stylish employee, and maybe a few more. That money will hopefully put a dent, or at the very least a scratch, in my rising credit card bill. That said, my credit card debt is nothing like the national average, and I console myself with this thought and at the same time practice iron-clad self-control to keep it from getting there. Next, there will be serious research into scholarships for poor and stylish library students, as well as the great cesspool of paperwork that entails getting on the waiting list for subsidized housing. 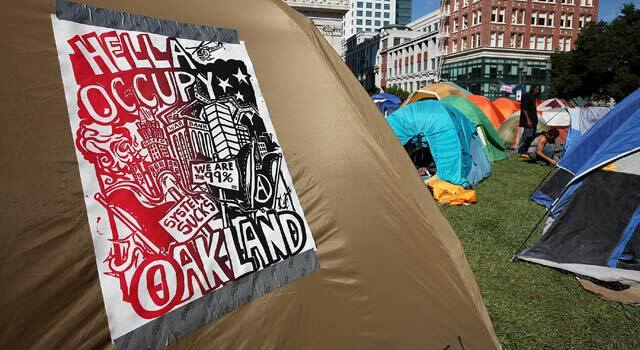 Barring all that, perhaps we’ll camp out in the city square and take up residence at one of the Occupy Wall Street protests. Anybody got a tent we can borrow? Mix all your ingredients together in a metal bowl (see directions below as to why it needs to be metal) and add the food coloring a little bit at a time to get the desired color, noting that when it cools, the color will be darker. Now fashion yourself a double boiler with a saucepan filled about 3-4 inches with water, your metal mixing bowl tucked on top so it gets nice and warm, and a trusty spoon. Heat on medium and stir the mixture frequently until the mixture really begins to stick to the bowl and balls up as you stir. It’ll get a little bit tricky, but stir for another minute, and then scrape the play-dough out onto a piece of wax paper and let cool. It’ll be a little sticky for the first round of creating, but when you’re done, wrap it tightly in plastic cling wrap and tuck it in the fridge. Next time around, it’ll be cool and smooth and perfect for imaginative little minds… as well as your kids. Allison, that was great. Frozen soup is my favorite budget meal too (well, I heat it up before I eat it). I will have to make you my borscht. Yum. Oooh! I’d love to try me some borscht– so bright and cheery and homey! Yum.